How To Wash Your Car? The Most Effective Way to Do It! Washing the car can be really fun and easy. All you need is to have the right equipment for the job. Also, washing your car saves you money that you could’ve spent on a car wash. Furthermore, washing your car in a car wash puts your paint at risk of deteriorating as they usually use abrasive materials that scratch or even damage the paint of your car. So, we are going to guide on how to wash your car in a few simple steps in this article. Car wash shampoo – stop using dish soap to wash your car with. Instead acquire a quality car wash shampoo that has the right ingredients to effectively get rid of dirt on the surface of your vehicle. Some of the things to regard are pH balance, foaming ability, concentration, lubricity and many others. Car wash mitts – there are different types of car wash mitts with varying materials. Ensure that you choose a car wash mitt that will effectively clean our car by removing dirt, grime and road pitch. Pick a design that is easy to use and clean. Car wash buckets (two) – you will need to two buckets ready when cleaning your car. One should have clean water for rinsing and the other one for holding soapy water. Ensure that you pick a bucket with the right capacity to sustain your whole car. Brush – get a quality brush that you will use to clean your tires and get all the dirt and grime on your tires effectively. Hose nozzles – choose a wonderful hose nozzle that makes cleaning your car to be fun and easy. It should provide you with the ideal pressure and should as well have different spraying patterns for quality cleaning of your car as needed. Sponge – choose a quality sponge that has soft material so that you don’t scratch the paint on your car. Also, it should be easy to clean and of the right color depending on the part of the car that you’re cleaning. 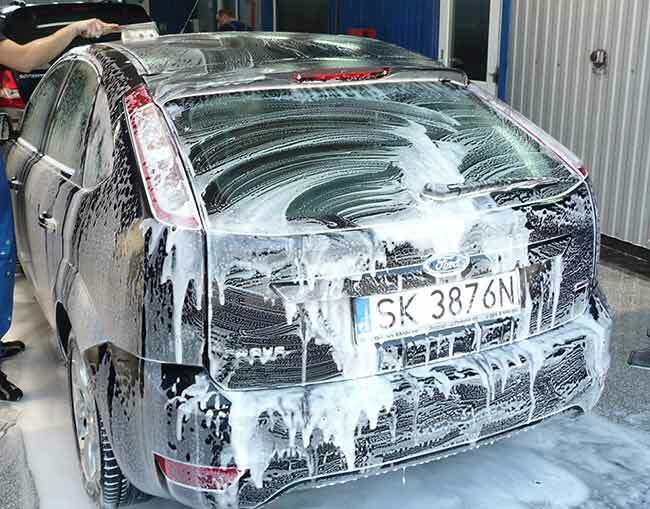 Foam guns – have a foam gun ready so that it can make cleaning to be easy and reduce the isk of scratching you car paint. Towel or microfiber cloth – after you’ve cleaned your car, you will need a towel or cloth to wipe off the remaining patches or spots on the car for a sparkling look. Set every item that you will need during washing of the car such as sponge, brush, buckets, etc. Begin by washing the wheels first as they are the dirtiest part of the car. Use a sponge or wash mitt on the car body so that you don’t scratch the paint with harsh items such as a brush. Ensure you scrub off bird droppings which can damage the paint and keep the wash mitt clean to prevent it from damaging the car’s paint. Rinse every car section after cleaning it to avoid soap from drying on it which can lead to stains and ensure the whole car remains wet during cleaning. After drying, wax the car so that you can protect the paint from the sun which fades and deteriorates it. Use water repellent treatment on car windows so that you can improve their visibility. With the above process, washing your car should be easy and fun. Stop spending cash taking your car to a car wash b cleaning it on your own every week. The procedure is simple and will ensure that you highly maintain your car for a long lasting paint and finish.